I was very thankful to Mr. Jasper “Jay Mante” Maguiguad, HICC PR and Communications Head for inviting me to their first ever HICC Media Launch yesterday. And I would like to congratulate them for the success of their event. Also I am very happy to meet and talk personally Dra. Imelda “Meddie” Eddollon, MT, MD, NMD in going into integrative medicine – a medical approach different from the conventional one that Filipinos are used to. I learned a lot during the media launch especially the “Future of Medicine Integrative Medicine” which is treating chronic degenerative diseases where the whole person, addressing mind, body, spirit and all aspects involved becoming whole again. 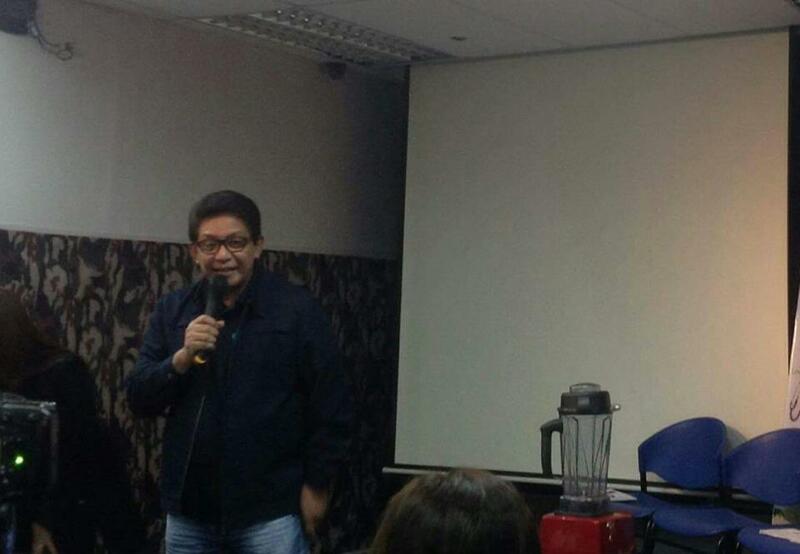 Learned a lot also to Chef Arlene Clemente leads HICC's Nutriment campaign especially when she made us a green leafy smoothies. I like her healthy recipes so much. Dra.Meddie, who has been a medical practitioner for the past eight years believes that integrative medicine is best approach in healing the whole person – not just the body, but the person’s mind and soul as well. Her strong desires to make a difference made her establish the Holistic Integrative Care Center (HICC), which combines the best practices of both conventional and alternative medicine on top of her compassionate approach in handling patients. “In the field of medicine, being healthy does not mean the absence of disease. Being healthy means that one achieved a balance of everything,” she said. According to Dra.Meddie, integrative medicine takes a holistic approach which means that everything about a patient is being treated – their mind, body and soul. It is so encompassing diagnosing a patient can take at least an hour. This field of medical science combines the use of conventional medicine, traditional medicine, herbal medicine, proper and monitored diet, lifestyle modification, psychological analysis and many other approaches depending on the condition of a patient. It establishes that sickness may be brought about by many factors such as medical background, emotional problems, improper diet, constant stress, mental conditions and even environmental conditions. Dra.Meddie started practicing integrative medicine in 2012 and established HICC in 2015 to cater to the needs of clients or patients who have had long-standing, seemingly incurable illnesses which remained unresolved by standard medical practice and procedures. She spent time in studying many treatment methods and various medical institutions abroad offering alternative medical studies. She opted to focus on HICC after personally witnessing how integrative medicine saved her father’s life after he suffered from multiple organ failure (lungs, heart and kidney failure). Like many who refuse to give up on their loved ones, Dra. Meddie searched for a cure for her father’s apparently hopeless situation. Her search led her to integrative medicine, which in turn resulted in her father’s survival. He not only survived, but his condition improved and is still improving as of this time. Since then, Dra.Meddie practiced integrative medicine which is governed by several international protocols. In fact, she is the only Filipino doctor who is recognized by the Gerson Institute in San Diego, California – an institution that introduces a kind of alternative therapy that cures cancer and other chronic diseases. 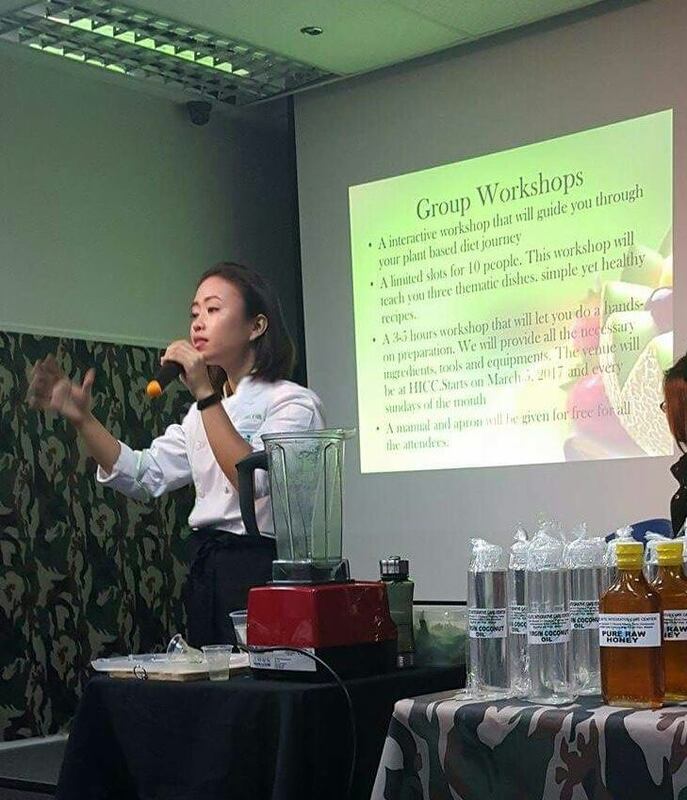 She is also among one of the few medical integrative medicine practitioners in the Philippines, who offer patients a better quality of and a disease-free life. We provide our business partners with the opportunity to earn residual income and the chance to create a future with more choice, more freedom and more of the things that they desire! Aside from the income, independent business partners will have chances to enjoy life through the incentives and promotions the company introduce from time to time. With the popularity of Stem Cell Theory, many broadsheets begin to write about this putting StemTech in the limelight. An example of this is an article by columnist Barbara Gonzalez. <Please check this out: http://www.philstar.com/Article.aspx?articleld=593870> Stemtech Philippines, Inc., 2012 34F Raffles Corp. Center, F. Ortigas Rd. Ortigas Center, Pasig City Philippines 02.621.4633 /09279780501. Stemtech’s flagship product, StemEnhance®, is the world's first all-natural supplement documented to support the release of adult stem cells from bone marrow. In a clinical study this extraordinary supplement increased the number of circulating adult stem cells by approximately 3-4 million. StemEnhance is composed of a patented all-natural concentrate of an edible aquatic botanical known as Aphanizomenon Flos-aquae (AFA) that includes naturally-occurring Mobilin™. AFA grows naturally in a pristine environment in the Northwestern United States. The process of cellular regeneration is essential to helping you maintain optimum health. Factors such as daily exposure to environmental toxins, physical activity, poor diet, stress and the aging process may cause a decline in your body’s ability to renew itself - putting your wellness at stake. What you need is a natural supplement that supports the natural release of adult stem cells from your bone marrow - StemEnhance is designed to do just that! StemEnhance is different from traditional multivitamins that work by supplying nourishment to old cells. Instead, StemEnhance supports the natural release of adult stem cells, the “master” cells that maintain tissue by transforming themselves into healthy new cells. This may help you maintain universal health and give you the edge you need to feel your best. Information about product features and benefits may be found on our Product Fact Page. Taking just 3 capsules of StemEnhance supports an increase in the number of naturally released adult stem cells circulating in the blood stream. That's equivalent to about 3 or 4 million new adult stem cells in ciruculation - making StemEnhance one of the greatest wellness discoveries of our time! In case you'd like to verify the increase, it was clearly documented in a double-blind, placebo controlled crossover study published in the highly respected peer-reviewed medical journal, Cardiovascular Revascularization Medicine. - the only nutritional supplement in the world proven to support the release of your own adult stem cells! 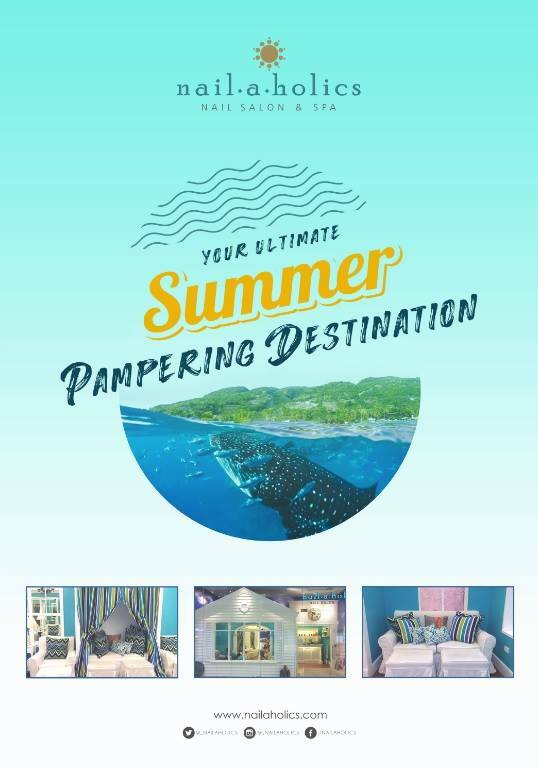 Post-holiday Pampering Day A visit to your favorite nail salon isn’t just for pre-holiday beach trips; sometimes, you need vacation from your vacation too. Summer means crowded airports, cramped flights, long road trips—and you’ll need to unwind after. Choose from our menu of spa treatments so that you not only get to relax, you also make sure you’re prepped and ready to go for your next vacation. It was a once in a lifetime experience when Manila Hotel invited me to have a taste of its LOVE MONTH celebration last February 7, 2017. I felt I was a teeny bobby teenager reliving a dream of the good life. First stop was the awesome Presidential Suite -- so huge with more than 1,000 sq meters space for you and your loved one/s. Beautiful and romantic are two words that would readily pop out of your mind. It’s overlooking the perfect Manila Bay sunset. Truly a grand dame that’s elegant, and having extensive experience in the hotel and hospitality business field, Manila Hotel tops in pulling off celebrations of this kind . The presidential suite would be the best place to express the wonderful feeling of falling in love and finding love anew or creatuing beautiful memories----from bespoke proposals to the one you love, engagement parties, tying the knot, honeymoons, babymoons and anything that celebrate love in all forms. 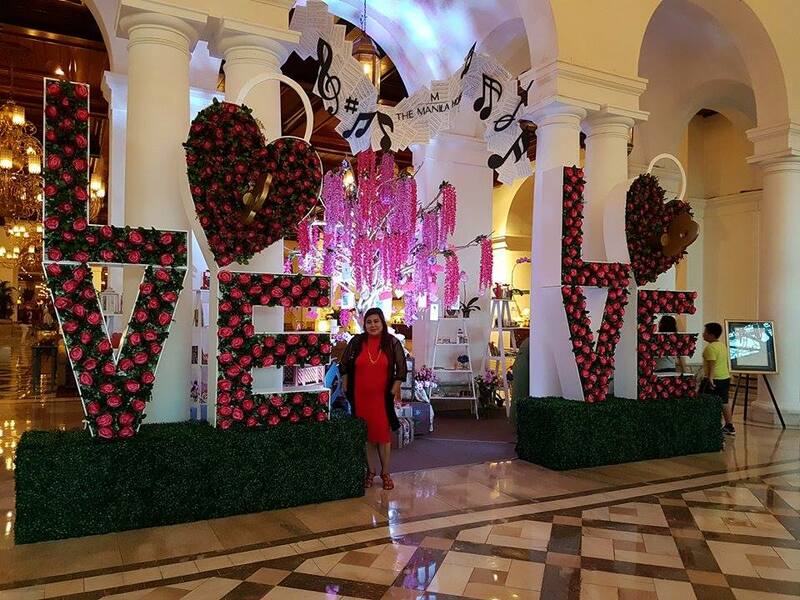 As you enter to the lobby of Manila Hotel you will feel the romantic season, a love tree will be in sight with all the symbols of love hanging in each branch. And if you’re a guest dining in the hotel’s restaurants will get a chance to pick a symbol and win special prizes from the hotel and to their love month partners----Airtaxi.ph, Rolls-Royce, Jewelmer, Christian Dior, Victoria’s Secret, Calligraffi Novelties, Jo Rubio, Rachy Cuna and other luxury brands. 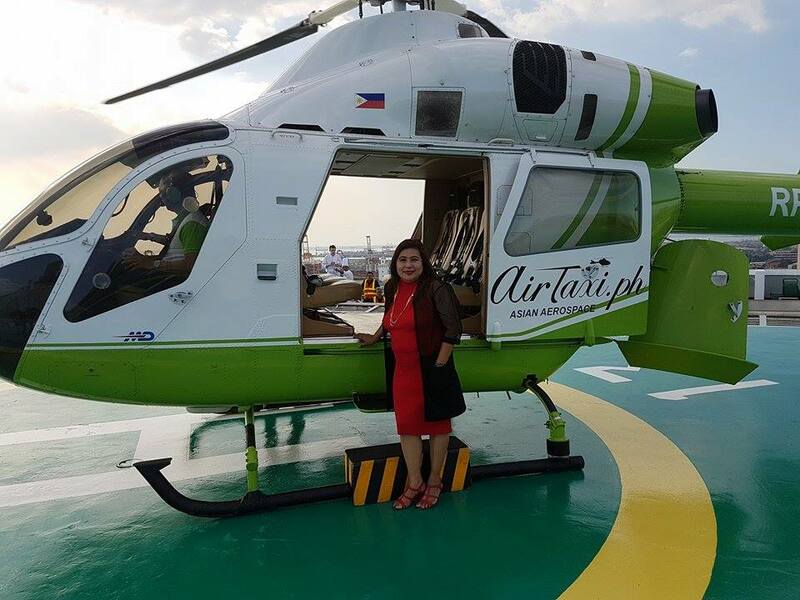 Now, here’s the thrill of a lifetime: riding the helicopter and the rolls-royce to complete the taste of the love month package. Even though it was only 5 to 10 minutes experience I was extremely happy and thankful for that very rare experience. I was also lucky to be chosen as one of the winners during the raffle and I got a Victoria’s Secret product. Further, I had a chance to experience their afternoon tea with tasting portions of the five-course menu paired with fresh fruit juices, champagne, white and red wine, coffee and tea. The hotel’s expert team who are very nice were on hand explain everything what they have for the love month of 2017. 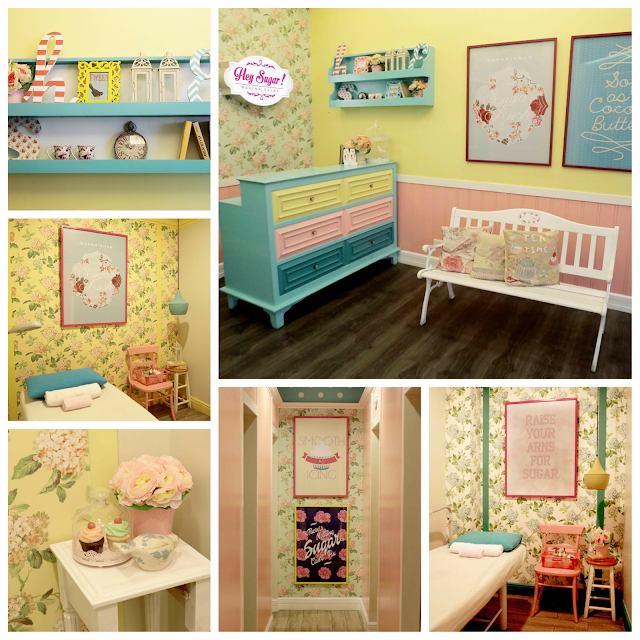 Sharing to you some here in my blog. Experience “THE GRAND DAME’S HEART” package inclusive of an overnight stay in one of our Superior Deluxe rooms, two tickets to crooner David Pomeranz’ concert with dinner for two at the Tent City, a buffet breakfast buffet for two at the Café Ilang-Ilang; and the following morning, a one-hour signature massage for one person at The Manila Hotel Spa. Additional amenities include: welcome fruits, unlimited internet access, and a complimentary use of the outdoor pool and Health Club Facilities for only PHP 20,000 nett. 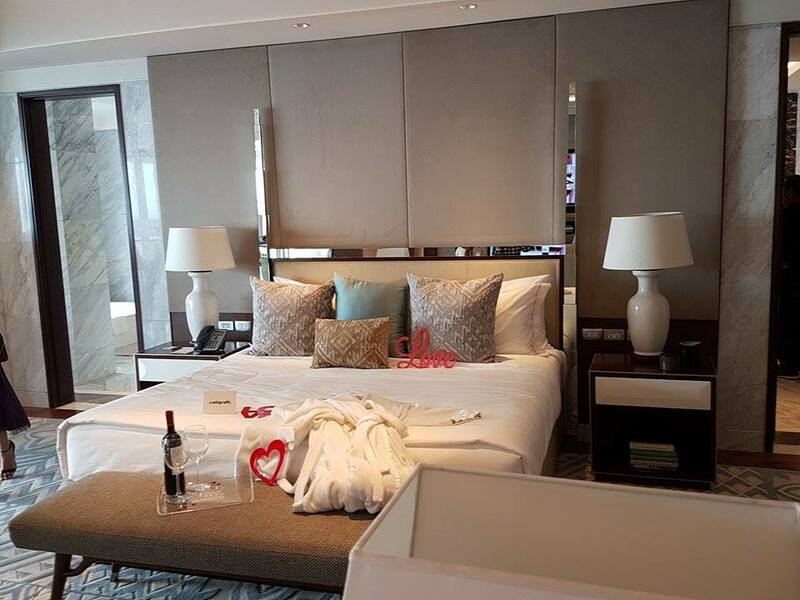 Prestige members get an exclusive Valentine’s package with our “NOSTALGIA WITH LOVE” promotion by booking one of the following suites: the Sunset Suite, Sunrise Suite, Tower Suite, Veranda Suite, or Intramuros Suite. All packages comes with a sumptuous buffet breakfast for two at Café Ilang-Ilang, a one-hour signature massage for one person at The Manila Hotel Spa, complimentary pralines, a bouquet of flowers, welcome amenities, and late check-out (4:00 pm), all for PHP 14,500 nett. Rekindle the flames of love with our “SAY I DO” room promotion inclusive of overnight accommodations, complete with a His and Hers butler attendant in the newly refurbished MacArthur Suite. The package comes with a three-course private in-room dinner with a flutist or violinist playing love songs to set the mood, a bottle of Champagne with His and Hers personalized wine glasses, and a chauffeur-driven luxury car at your service that will take the couple to the hotel and back to their homes. Relax yourself with a one-hour couple’s massage at The Manila Hotel Spa and also enjoy a Prestige Card membership that gives them access to the best offers and services in the hotel. To add more sweetness to the celebration, romantic turn-down amenities from our skilled chocolatiers and a bouquet of Ecuadorian roses will be given to the lady. Lastly, to remind them of their beautiful stay at the hotel, the couple will received a water color portrait souvenir portrait. 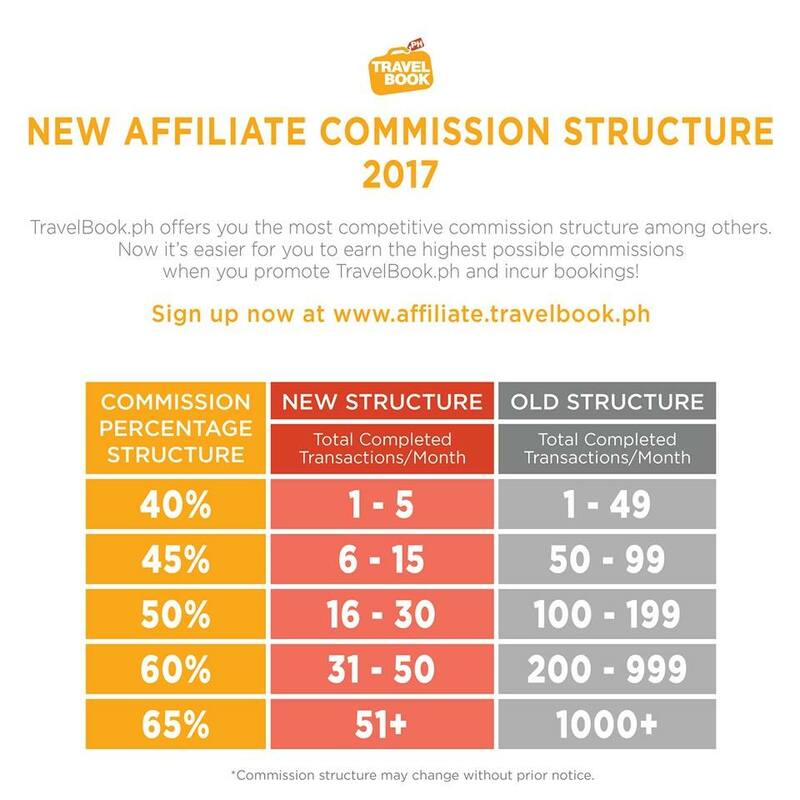 All these inclusions for only PHP 500,000*nett. Stay period is from 1 to 28 February 2017 and terms and conditions apply. If you are ready to give it all to your significant other, our “SKY’S THE LIMIT” room package is the perfect one for you. We can help you pop the question or spice up your relationship by renewing your vows. 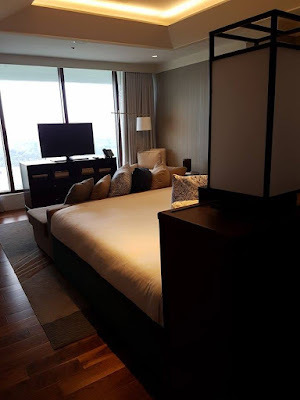 The package is inclusive of a luxurious overnight stay at the Grand Dame’s newly renovated Presidential Suite replete with a sunset helicopter proposal or a private in-room ceremony with a priest or pastor for the renewal of vows. Your His and Hers 24-hour butler attendant will make sure that you will have everything attended to during the stay. Highlights include a 15-minute sunset helicopter flight around Manila Bay right before sunset to pop the question and made more even more perfect with a bottle of Champagne using His and Hers personalised wine glasses to celebrate that special moment. To make it even more special, there will be a five-course Chef’s table dinner for two at the Presidential Suite, capped with a harpist for the perfect musical entertainment and a special USB with their genre of music. 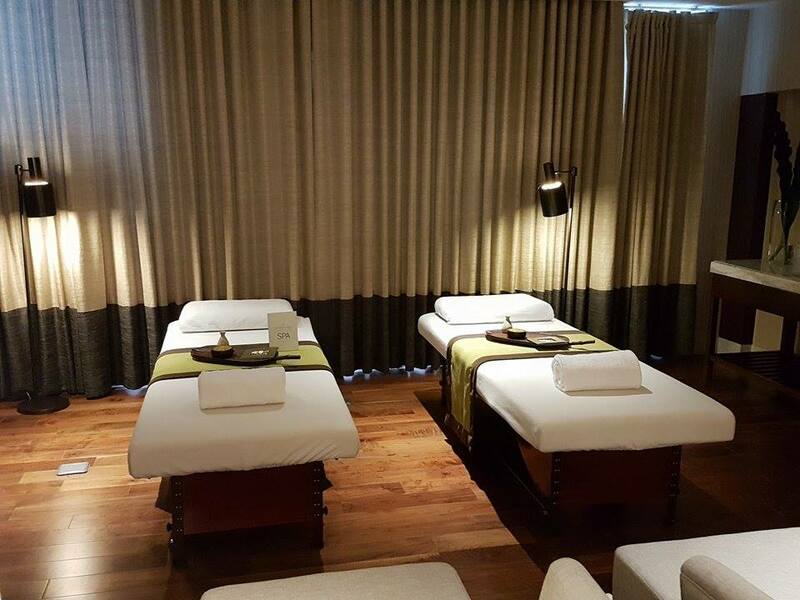 Enjoy a one-hour couple’s massage at The Manila Hotel Spa or the comfort of your own spa room at the Presidential Suite as well as a Prestige Card membership that gives them access to the best offers and services in the hotel. They also receive His and Hers gifts such as cufflinks and stud earrings from Jewelmer, bespoke perfumes from Dior Parfums, made-to-measure His and Hers modern barong by a Filipino fashion designer Jo Rubio, romantic turn-down amenities from our skilled chocolatiers and a bouquet of Ecuadorian roses. To keep the love alive in photograph, and a photo opportunity with the Rolls-Royce car await guests. 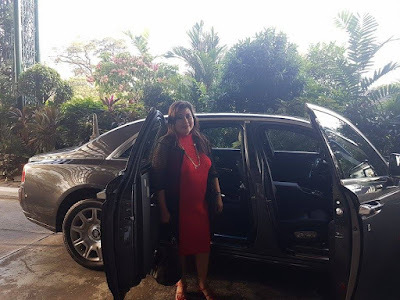 Furthermore, a chauffeur-driven luxury car will be at disposal and will take you to the hotel and back to your home after the memorable stay. All these for only PHP 1,000,000*nett per night. Stay period is from 1 to 28 February 2017 and terms and conditions apply. 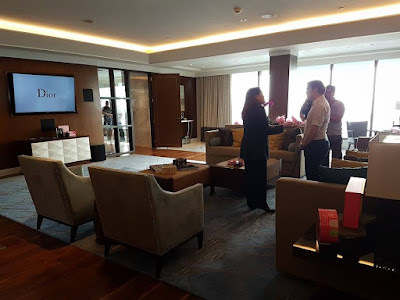 As a treat, guests availing the LOVE MONTH room packages will receive limited edition The Manila Hotel memory sticks for your hearing pleasure with genre specific playlists---baby boomers, generation X and Y, and the millennials. For a more intimate and indulgent atmosphere, dine under crystal palm trees of the famed Champagne Room of The Manila Hotel and delight in a French gastronomic voyage with your special someone. Indulge in foie gras, scallops, and lamb loin for only PHP 7,000 nett for two. When you avail a bottle of Roberto Mondavi Merlot or Chardonnay, you get to take other bottle home with our compliments. Do not forget to ask our team for other wine recommendations as well. Have an enchanting evening at Cowrie Grill, Greenhills (San Juan) and lavish on a five-course dinner with your loved one. Offerings feature a green salad medley with soft shell crab; prepared table side, garden fresh tomato soup on cheese soufflé, a passion fruit sherbet, an Australian lamb main course, and a mouthwatering French crepe suzette for only PHP 4,800 nett for couple. The Cowrie Grill is located in Greenhills, San Juan and is open daily from 11:00 am to 2:30 pm for lunch; 3:00 pm to 5:30 pm for afternoon snacks, and from 6:00 pm to 10:30 pm for dinner. Reminisce and share your story of love with the rest of the world by joining our Love in Pen and Paper: A Collection of Manila Hotel Love Stories. Profess your feelings of love, appreciation, and gratitude for your loved one or significant other by writing about them to us. Furthermore, The Manila Hotel invites you to join Love and Rhythm: The Manila Hotel’s Song Writing Contest by declaring your utmost devotion to your loved ones or significant other by being inspired and composing a song! Great prizes await those whose entries will be chosen. To know more about the mechanics of these contests, please visit http://bit.ly/TMHLoveInPenandPaper or http://bit.ly/TMHLoveandRhythm. For restaurant reservations, please call our Food and Beverage team at 527-0011 extension 1261-1262. For room reservations, please contact 5270011 extension1175 to 1179 or visit www.manila-hotel.com.ph. For the option of extending your stay at either the Presidential Suite or MacArthur Suite, a special rate will be given. None of the promotional cards can apply to these promotional room packages. Positioned as the true heart of the Philippines, The Manila Hotel is the country’s premier five-star and flagship hotel. It is located at One Rizal Park, Manila. 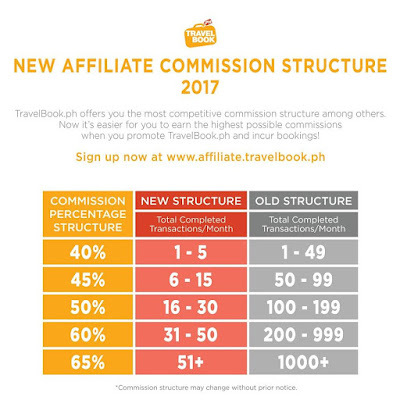 For more information, call +632 527 0011 or visit www.manila-hotel.com.ph; follow us on Facebook at www.facebook.com/TheManilaHotel and on Instagram@themanilahotel. Reminisce and share your story of love with the rest of the world by sending them to us and win prizes. Profess your feelings of love, appreciation, and gratitude for your loved one or significant other. Write and submit your story of love, either in English or Tagalog, in not more than 2,000 words. Your story of love is not limited to the stories among couples. 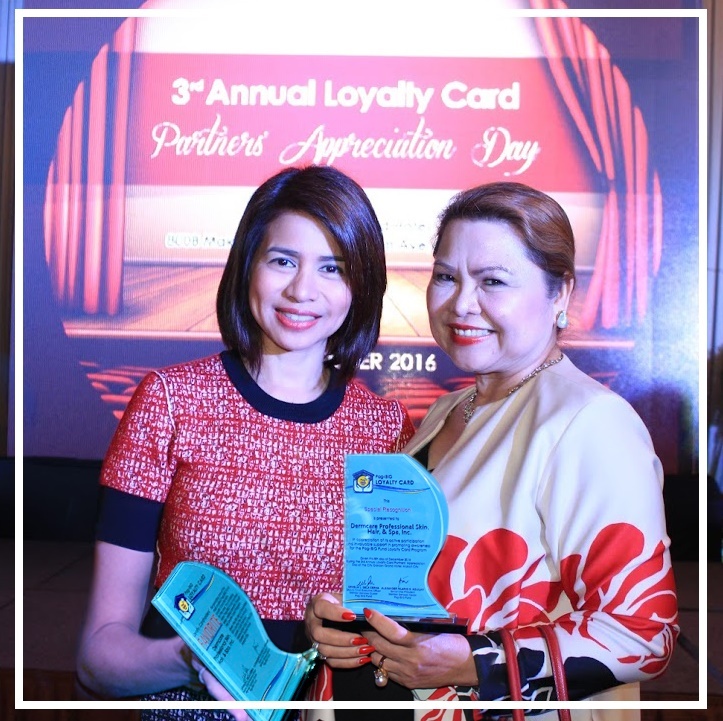 It may also be about the love of a mother to her daughter, a friend to a friend, a sibling, a grandmother but in relation to how it was celebrated at The Manila Hotel. 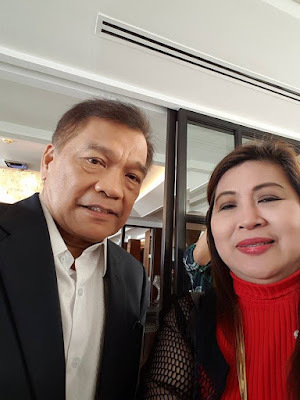 Author must provide a recent photo with the person in his/her story of love as well as proof of the celebration happening at The Manila Hotel. 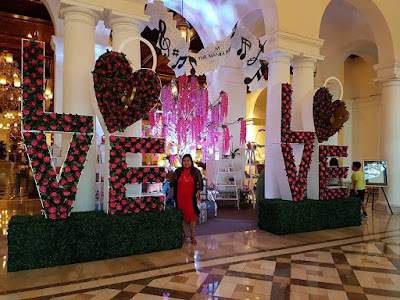 Author must allow The Manila Hotel to publish their love story on the Hotel’s Facebook page and other Love Month collaterals. The hotel can protect your identity if you so wish. Number of likes on Facebook. Three winners will be chosen. The selected winners will receive cash prizes as well as gift certificates. Non-winners will also receive a consolation prize for their participation. To all music lovers and composers out there! This February, The Manila Hotel invites you to come and join Love and Rhythm: The Manila Hotel’s Song Writing Contest. Declare your utmost devotion to your loved ones or significant other by being inspired and composing a song! Great prizes await those whose song entry will be chosen. 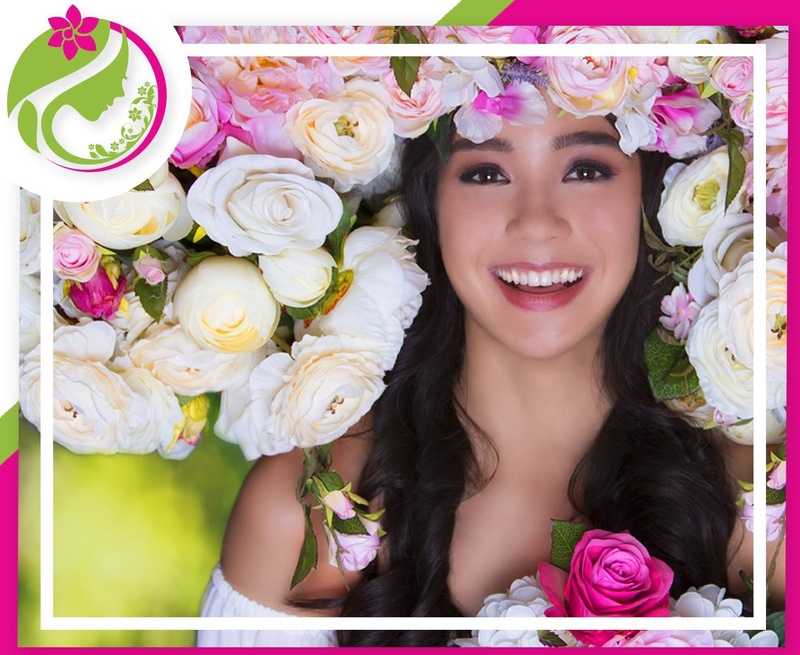 The theme will be about love of any kind – be it love for your significant other, your parents, your whole family, your friends, love of country, and more. Write and submit your song either in English or Tagalog. It must not exceed 2.5 to 3.0 minutes (complete with the intro, coda, refrain, and etc). Only original compositions must be submitted. The song entries must not have been submitted or released in other prior competitions. The composers of the songs chosen will be duly notified and will be recognized as the original lyricists and composers respectively. Three winners will be chosen. 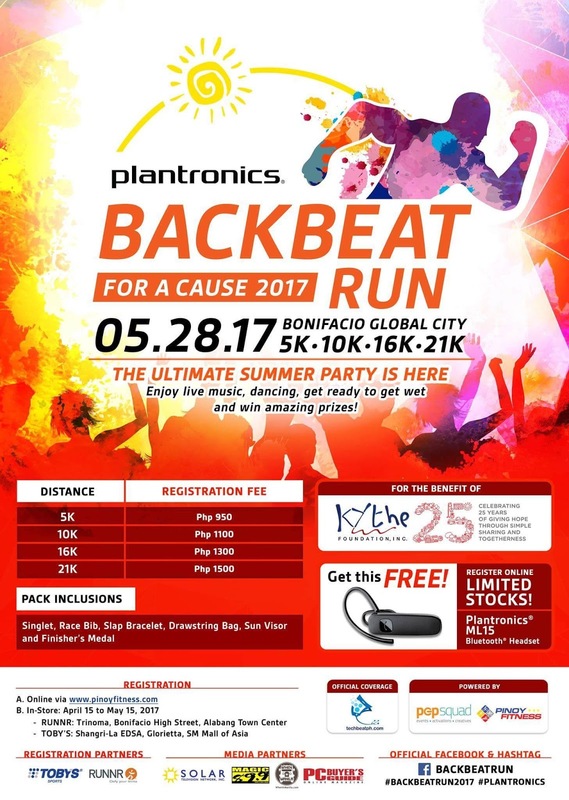 The selected winners will receive gift certificates worth PHP 20,000, PHP 15,000, and PHP 10,000. 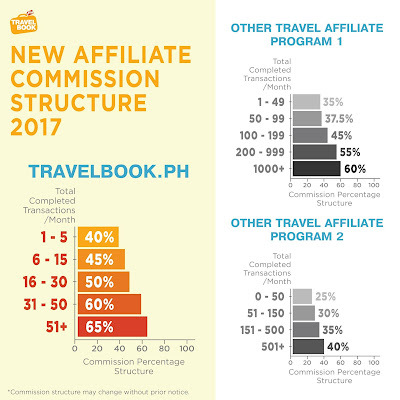 The ownership of the submitted song/music would be retained by the respective composers/lyricists but with the explicit permission to be for The Manila Hotel to use in its marketing promotions both locally, regionally, and internationally. His and Hers personalised wine glasses by .calligraffi. 7) His and Hers personalised wine glassesby .calligraffi. Cooking classes are subject to prior scheduling and the Chefs’ availability. Cooking class attendees may be grouped together. These prizes cannot be exchanged for cash. 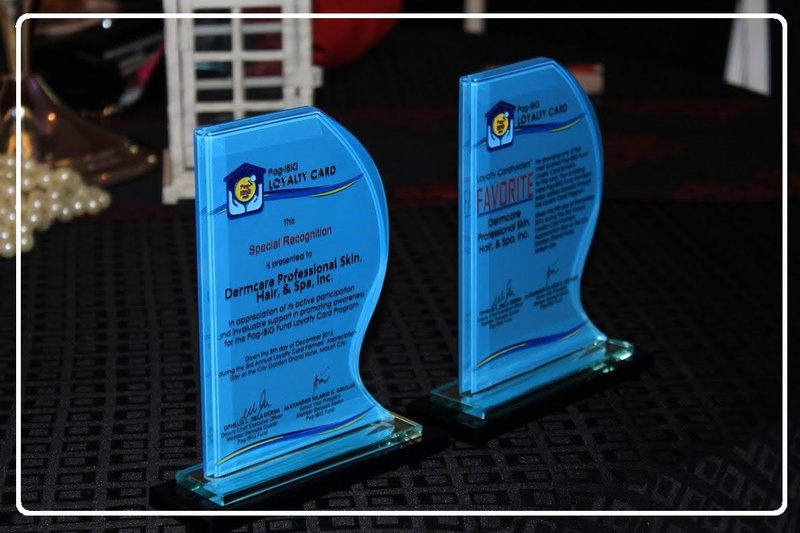 These prizes are subject to a validity period with extensions granted on a case-to-case basis. These cooking class vouchers may be transferrable with prior notice to the hotel. This new year, give your hair a resolution and have your hair and scalp analyzed in order to check for problems. Novuhair, is offering a series of free hair and scalp analysis is various locations,check their monthly schedule at www.novuhair.com, Facebook page: www.facebook.com/NovuhairOfficial , Instagram: @NovuhairOfficialor on Twitter: @NovuhairNatural. 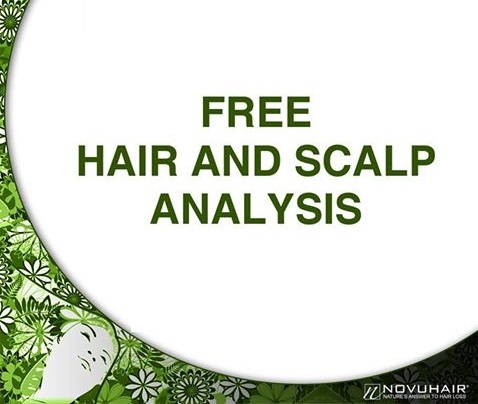 You may also call the Novuhair hotlines at 4136570 and 09228830575. Understandably, you would only want the best for the ones you hold dear to your heart. 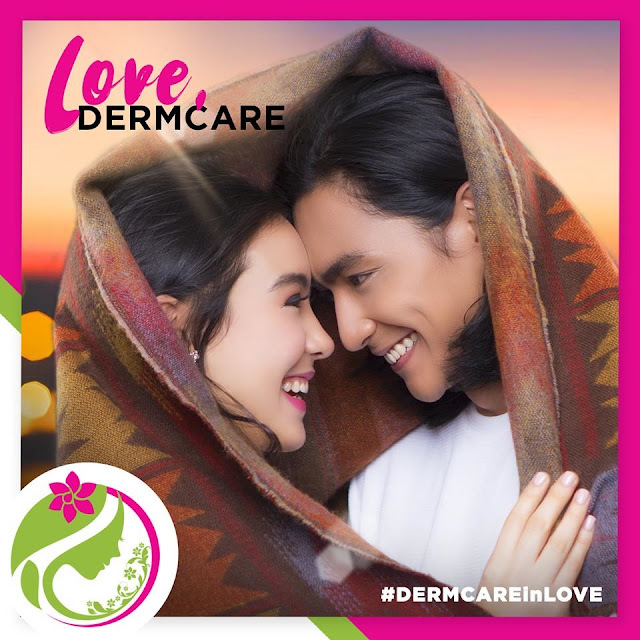 This is why Dermcare has up the ante, so everyone in your family and social circlecan experience the care and passion that only Dermcare can give. Dermcare's new logo is fused together with the care-centric ideals that they have at present. 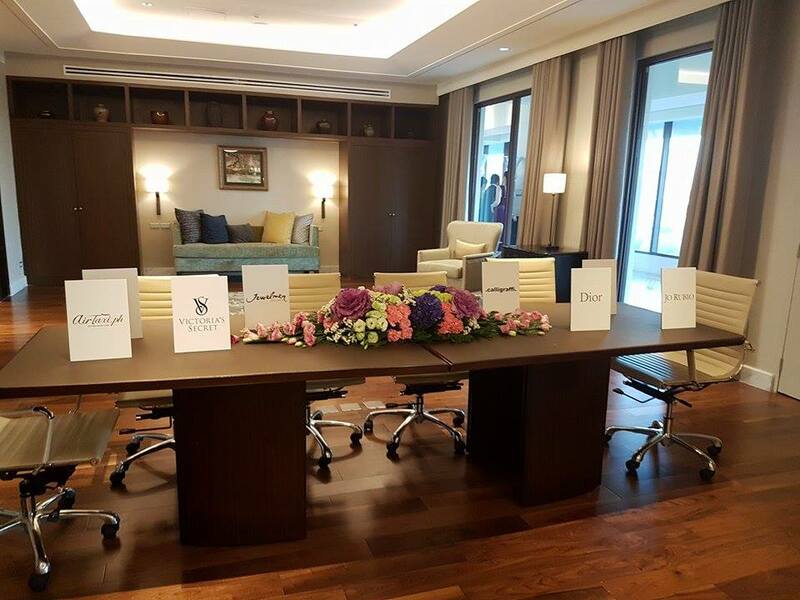 The flowers represent theirgrowing clientele and how it has captured the hearts and gained the trust of the public.